The seventh edition of the anti-abortion rally March for Life is scheduled to take place in Brussels on Sunday, 17 April. The organisation, which presents itself as young and Catholic, holds the world's largest pro-life rally in various cities around the world in an effort to stand up for the rights of the unborn child. 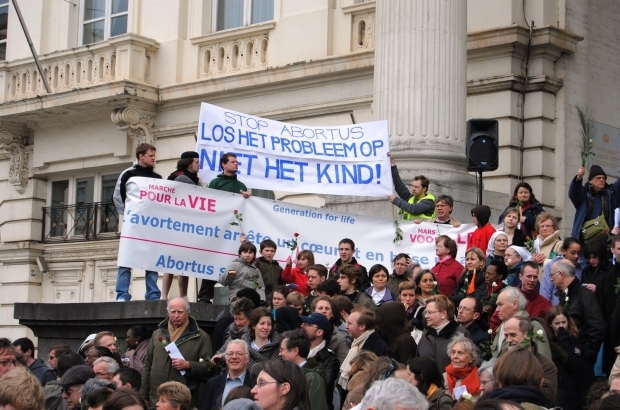 About 550 people took part in the 2010 March for Life in Brussels, including the then archbishop André-Joseph Léonard. This year, the organisers expect the event to draw more than 4,000 participants to the European capital.